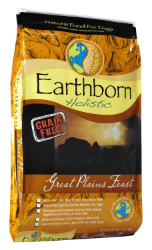 Fulfills your dog's ancestral dietary cravings by providing him with lean, bison and lamb meal proteins. With lean, red meat bison meal as the first ingredient, your dog is ensured high protein levels that help develop and sustain energy and lean muscle mass. Bison meal and lamb meal are lean, red meat proteins that are rich in balanced amino acids which are important building blocks for a healthy body. Egg protein is the biological standard that all other proteins are compared against. Rich protein sources like these help build a strong foundation for your dog's overall health. L-Carnitine helps convert fat into energy promoting lean muscle mass and healthy body condition. A proper ratio of Omega-6 and Omega-3 fatty acids helps support a lipid balance for healthy skin and coat. Guaranteed levels of antioxidant nutrients like Vitamin E and Vitamin C blended with nutrient-rich vegetables and fruits such as peas, apples, blueberries, carrots, spinach and cranberries help support the immune system and optimal health. With our highly digestible proteins you can be sure your dog is getting all the nutrition and great taste needed to live a long and happy life. 3675 (M.E. Calculated, as fed) kilo-calories per kg/430 (M.E. Calculated, as fed) kilo-calories per cup. Bison Meal, Peas, Pea Protein, Tapioca, Dried Egg Product, Canola Oil (preserved with mixed tocopherols), Flaxseed, Lamb Meal, Pea Fiber, Natural Flavors, Blueberry Fiber, Cranberry Fiber, Apples, Blueberries, Carrots, Spinach, Cranberries, Choline Chloride, Potassium Chloride, DL-Methionine, L-Lysine, Taurine, L-Carnitine, Vitamin A Supplement, Vitamin D3 Supplement, Vitamin E Supplement, Zinc Sulfate, Ferrous Sulfate, Niacin, Folic Acid, Biotin, Manganese Sulfate, Copper Sulfate, Salt, Calcium Pantothenate, Thiamine Mononitrate, Pyridoxine Hydrochloride, Riboflavin Supplement, L-Ascorbyl-2-Polyphosphate (source of Vitamin C), Zinc Proteinate, Manganese Proteinate, Copper Proteinate, Calcium Iodate, Sodium Selenite, Cobalt Carbonate, Vitamin B12 Supplement, Yucca Schidgera Extract, Rosemary Extract, Dried Lactobacillus Plantarum Fermentation Product, Dried Enterococus Faecium Fermentation Product, Dried Lactobacillus Casei Fermentation Product, Dried Lactobacillus Acidophilus Fermentation Product.